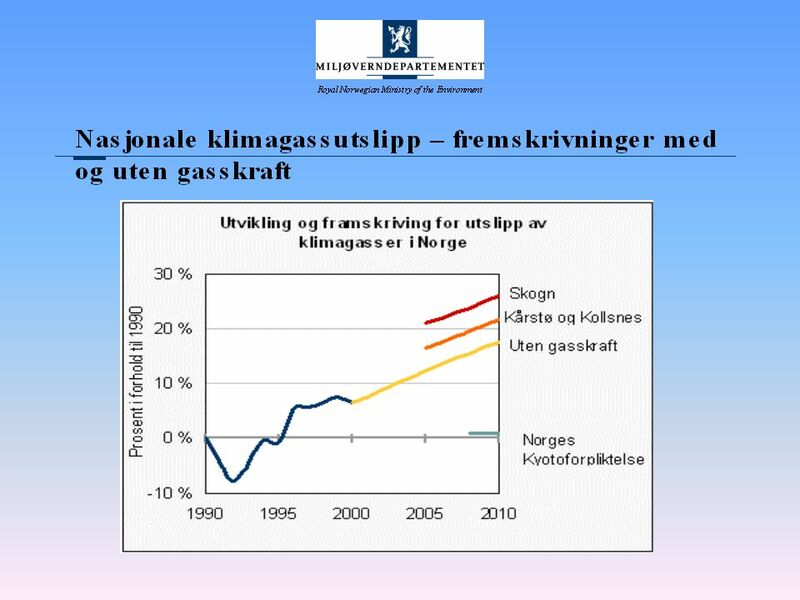 GHG projections in Norway Peer Stiansen Ministry of Environment. 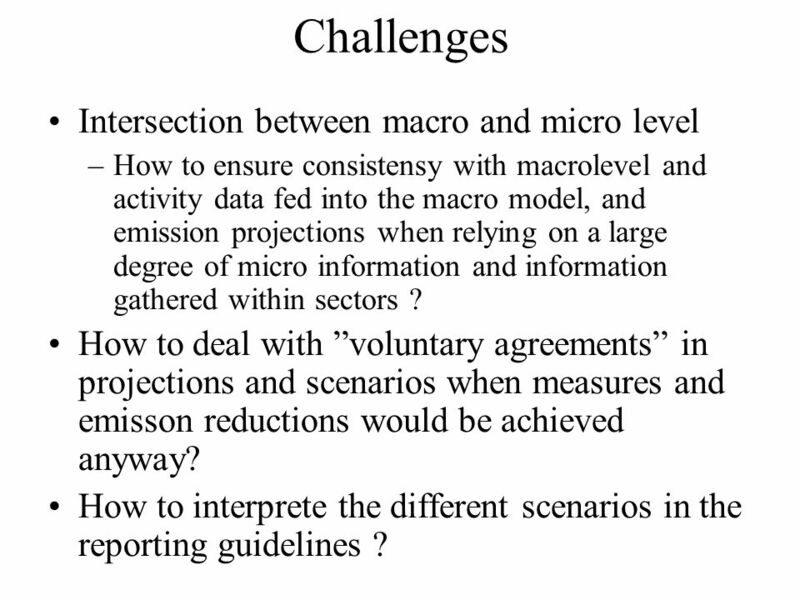 10 Challenges Intersection between macro and micro level –How to ensure consistensy with macrolevel and activity data fed into the macro model, and emission projections when relying on a large degree of micro information and information gathered within sectors ? 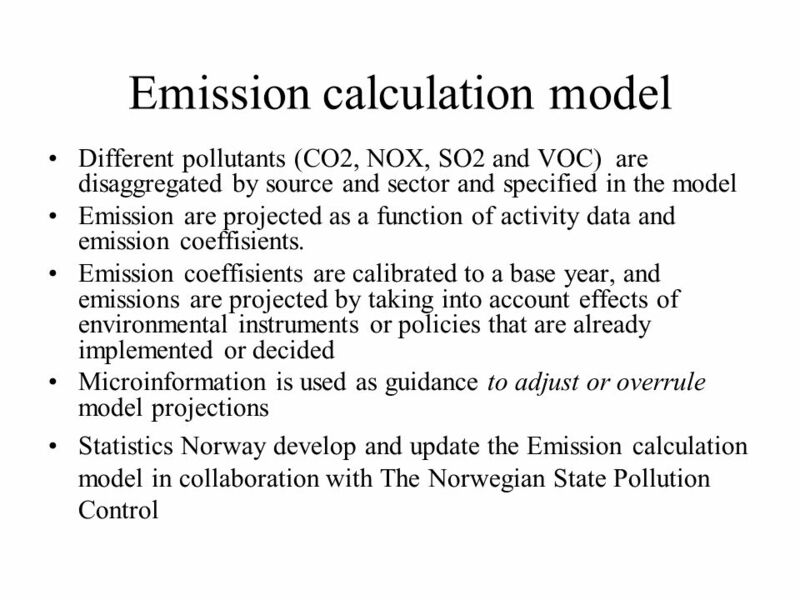 How to deal with ”voluntary agreements” in projections and scenarios when measures and emisson reductions would be achieved anyway? How to interprete the different scenarios in the reporting guidelines ? 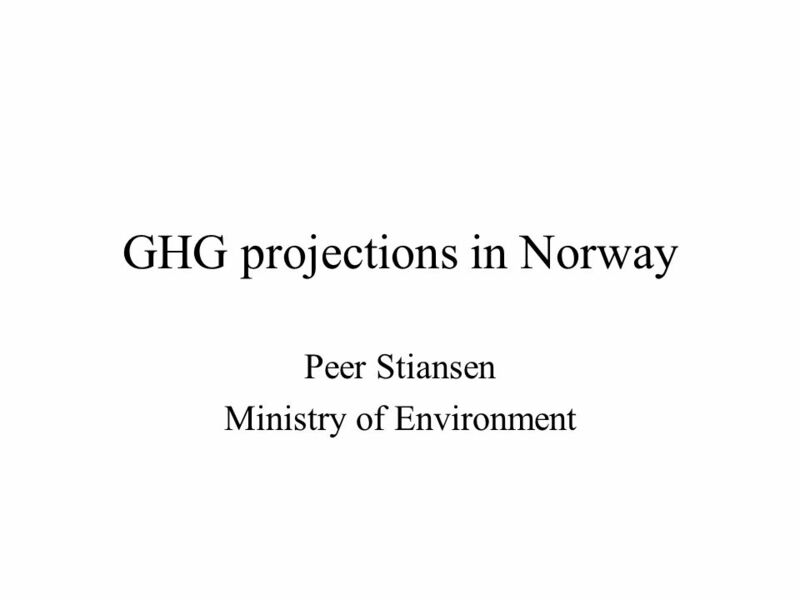 Download ppt "GHG projections in Norway Peer Stiansen Ministry of Environment." Subsidies and the Environment An Overview of the State of Knowledge Gareth Porter OECD Workshop on Environmentally Harmful Subsidies November 7-8, 2002. 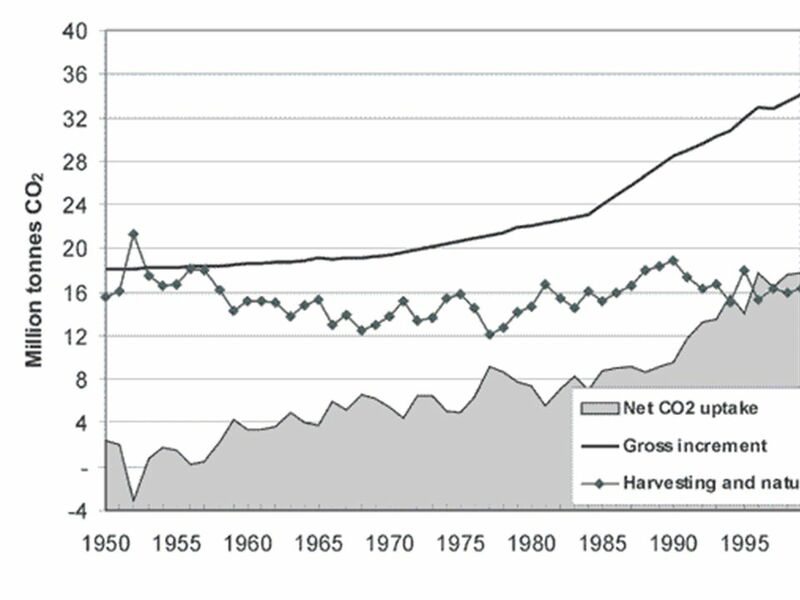 Greenhouse gas emissions from shipping Domestic and international Eilev Gjerald Climate and Energy Section Norwegian Pollution and Control Authority. Workshop recommendations: improving the quality of GHG inventories and projections for the LUCF sector part 2: Projections G. Seufert, Z. Somogyi S. Federici. LULUCF in the negotiations AWG-KP-5 Bangkok April 2008 Jim Penman. Workshop on Emissions Projections (Bonn, Germany) “General and Cross-Cutting Issues” Takaaki Ito Ministry of the Environment, Japan. 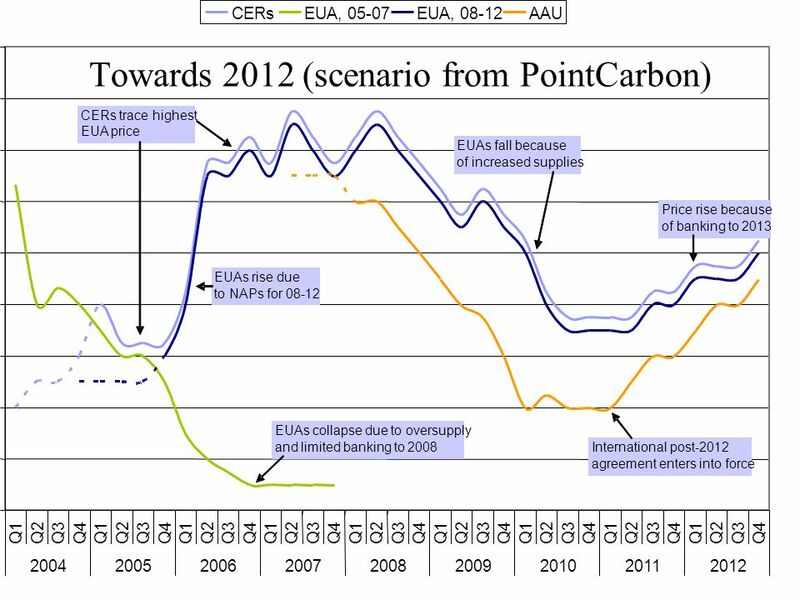 1 Workshop on inventories of greenhouse gas emissions from aviation and navigation May 2004, Copenhagen EU greenhouse gas emission trends and projections. 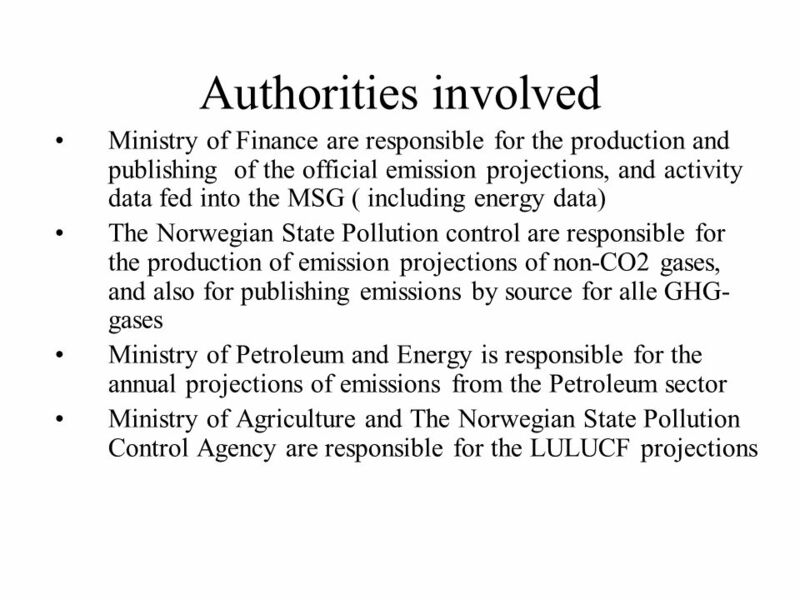 National Inventories of Greenhouse Gas Emissions Yamil Bonduki Coordinator National Communications Support Programme. 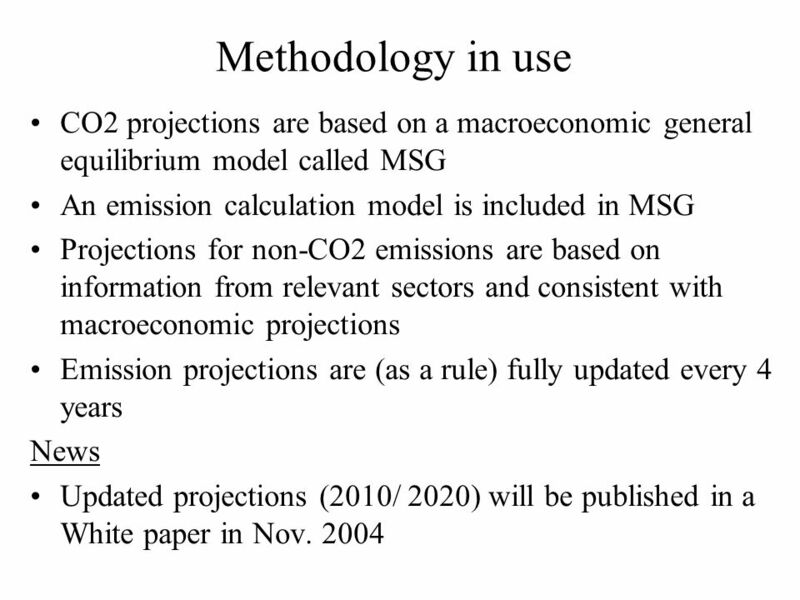 Reporting non-CO 2 Policies and Measures in National Communications Andrew Johnson New Zealand Climate Change Office. 1 Norwegian Environment Statistics SEIS Country Visit Workshop – Norway November 13th, 2008 Svein Homstvedt Head of Divison Divison for Environment Statistics. 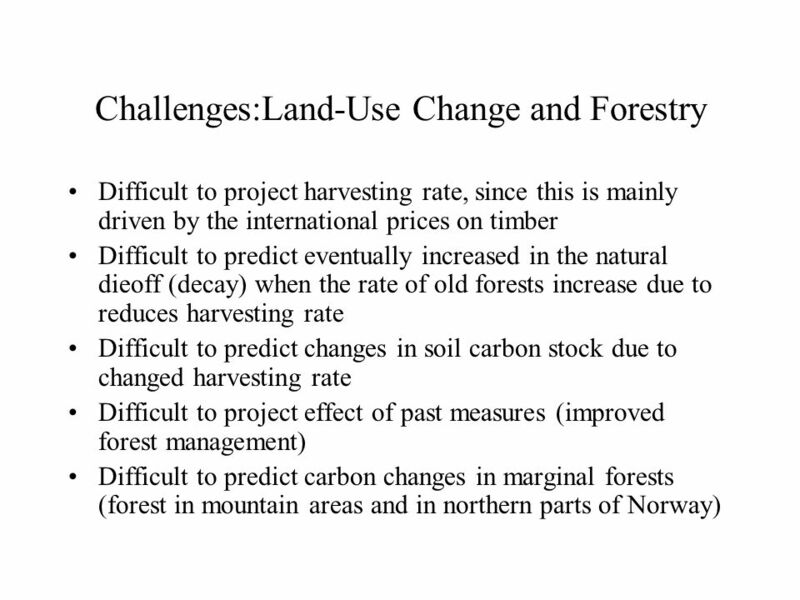 Agriculture, Forestry and Other Land-Use: Combining two sectors of the IPCC 1996 Guidelines Leandro Buendia Technical Support Unit – IPCC NGGIP. THE NATIONAL CLIMATE CHANGE RESPONSE POLICY Mitigation System National Climate Change Response Policy 26 May 2015. 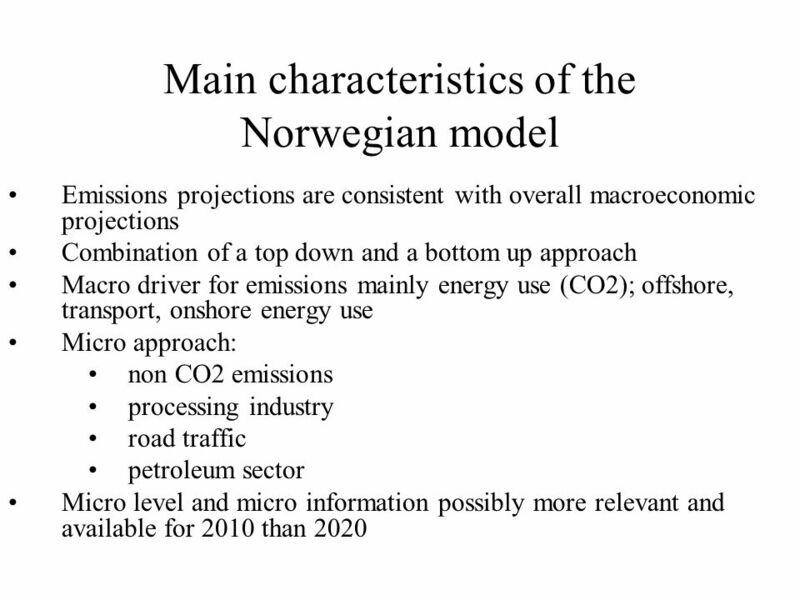 Norwegian Emission projections Facts and experiences. Click to edit Master title style Projecting GHG emissions & removals New Zealand Leonard Brown New Zealand Climate Change Office Presented at the UNFCCC. 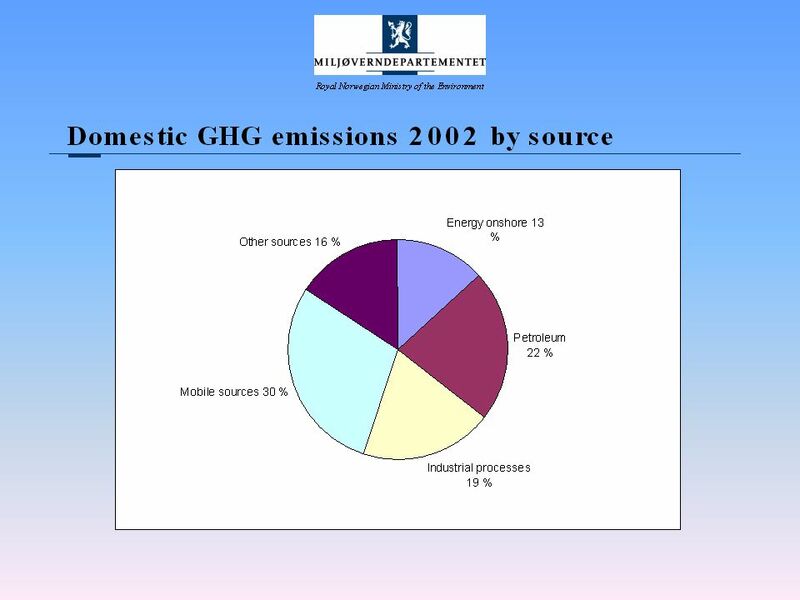 1 Dr. Christo Christov Energy Institute JSCo Sofia, Bulgaria Bulgaria GHG Emission Projections - Results and Methodological Problems Dr. Christo Christov. 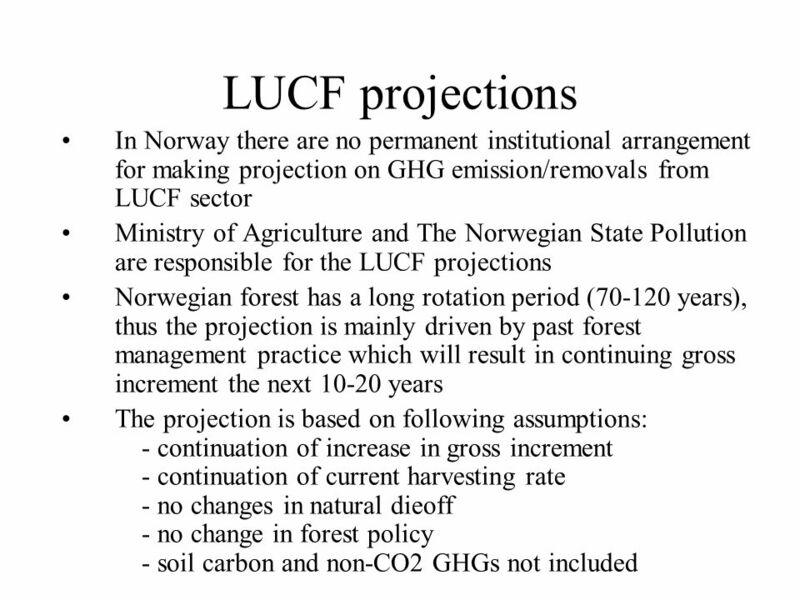 Click to edit Master title style Projecting GHG emissions & removals from Agriculture & LULUCF New Zealand methods & experiences Leonard Brown New Zealand. 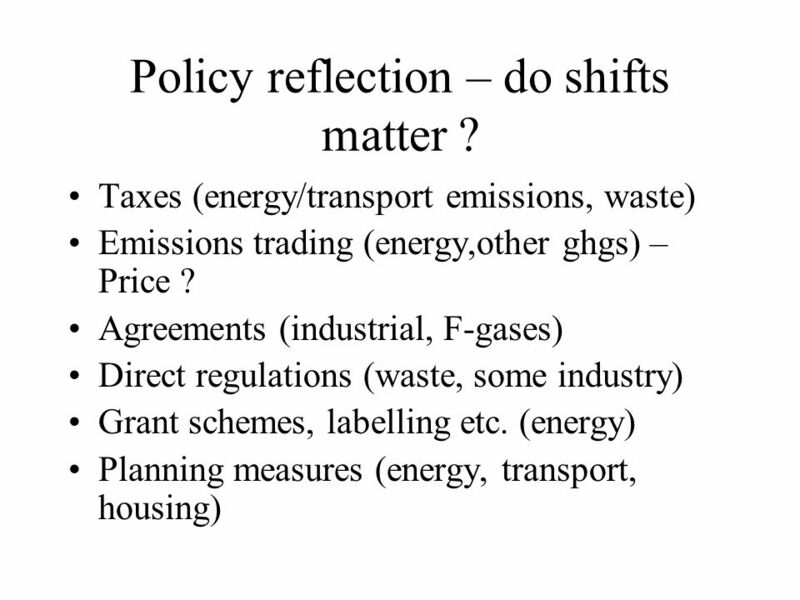 Climate Policy and Green Tax Reform in Denmark Some conclusions from the 2009 report to the Danish Council of Environmental Economics Presentation to the.